Commission to consider draft hunting and fishing license structure/fees; proposed revisions to hunt guidelines; hunt orders for dove and band-tailed pigeons. The next meeting of the Arizona Game and Fish Commission will be June 14-15 at the Mazatzal Hotel & Casino on Highway 87, Mile Marker 251, in Payson, Ariz. The meeting begins at 8 a.m. both days. One of the highlights of the Saturday, June 15 portion of the agenda will be consideration of a new draft hunting and fishing license structure and license/tag fees that will be taken to the public for comment. This will include discussion of the public input received on the license structure and fee concepts that have been presented at a recent series of public meetings. Other highlights on Saturday's agenda include a briefing on the revised hunt guidelines and consideration of the hunt orders for dove, band-tailed pigeon and sandhill crane. The public is invited to either attend the meeting in person, view it live via video stream at any Game and Fish regional office, or view it over the web at www.azgfd.gov/commissioncam. Members of the public who wish to speak to the Commission may submit Speaker Cards (Blue Cards) in person at the meeting or from any regional Game and Fish office. The ability to speak to the Commission is not available for those viewing the webcast online. Mogollon Streams Restoration Project (East Verde River, Tonto Creek, Christopher Creek, Haigler Creek and Canyon Creek). Mogollon Rim area Chiricahua Leopard Frog Project. Mogollon Rim area Rocky Mountain bighorn sheep (Mazatzal and Hell's Gate areas). Bear safety and bear-proof dumpster update. State Route 260 wildlife crosswalk and crossings. Tonto National Forest travel management (presented by Neil Bosworth, Tonto National Forest supervisor). Mogollon Sporting Association (dedicated to Rim Country's youth and wildlife). Update on state and federal legislation (this item is scheduled for 10:30 a.m. and begins the webcast of the rest of the Commission meeting on Friday and Saturday). Request for approval of an intergovernmental agreement between the Commission and the White Mountain Apache Tribe to coordinate nuisance bear responses. Request for approval to acquire a Special Use Permit from the Apache-Sitgreaves National Forest for development of the Second Knoll Shooting Range. Consideration of three nominations to fill vacant spots on the Landowner-Lessee/Sportsman Relations Committee. Request for approval of the exchange of a portion of the Page Springs Fish Hatchery property for an adjacent riparian area. Briefing on the Department's participation in the Western Association of Fish and Wildlife Agencies Grassland Initiative. Briefing on Department missions and challenges that required out-of-state travel in fiscal year 2012. Consideration of proposed Commission meeting dates and locations for 2014. Update on award categories for the 2013 Commission awards. Consideration of several consent agenda items. Consideration of proposed Commission Orders 19 (dove), 20 (band-tailed pigeons) and 24 (sandhill cranes) for the 2013-14 hunting season, establishing seasons and season dates, bag and possession limits, and open and closed areas. Consideration of proposed Commission Order 29 for the 2014-15 Special Big Game License-Tag seasons (see next item), establishing seasons and season dates, bag and possession limits, permit numbers, and open areas. Consideration of applications for Special Big Game Hunt License-Tags for antelope, bighorn sheep, black bear, buffalo, elk, javelina, mountain lion, mule deer, white-tailed deer, and turkey for 2014-15. The Commission may vote to take action on applications from organizations for these tags as per R12-4-120. Briefing on public comment received thus far on the existing hunt guidelines and presentation of a preliminary draft of the revised guidelines. Consideration of a draft hunting and fishing license structure and license/tag fees. The Commission may vote to approve or modify the draft structure and fees before they are presented to the public for comments. The Department will request Commission approval of a Draft Notice of Exempt Rulemaking amending multiple rules within A.A.C. Title 12, Chapter 4. To view a copy of the full meeting agenda, visit www.azgfd.gov/commission and click on the "commission agenda" link. 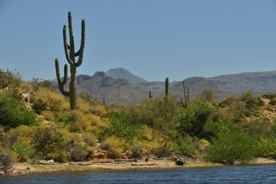 The Arizona Game and Fish Commission is the policy-setting board overseeing the Arizona Game and Fish Department. It is composed of five members (serving staggered five-year terms) appointed by the Governor and confirmed by the Senate. No more than one commissioner may be from any one county. No more than three may be from the same political party. Since its inception in 1929, this organizational structure has served as a buffer for the best interests of science-driven wildlife conservation during eight decades of back-and-forth political change.